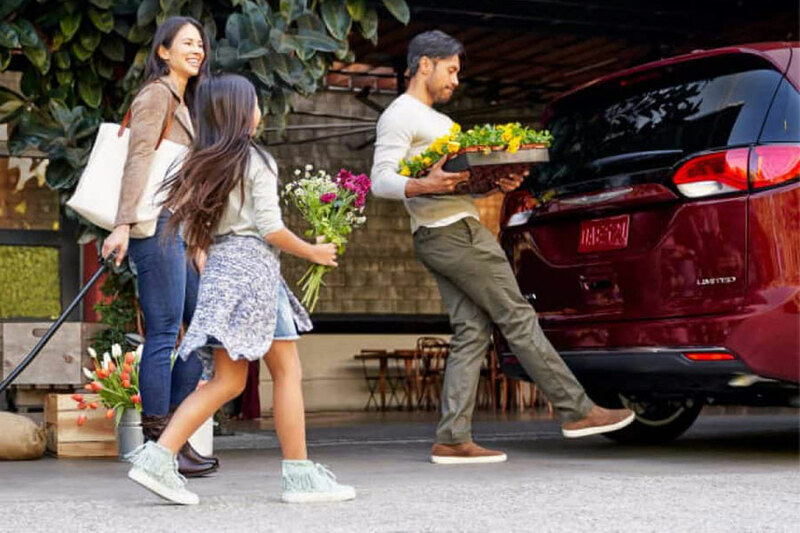 Versatile and high-tech, both the 2019 Chrysler Pacifica and Kia Sedona minivans will help your family make the most of a jam-packed, fast-paced lifestyle. But which is the better minivan for your daily drive? Our comparison guide will steer you in the right direction. You can deck out both minivans with high-tech safety aids. But the Sedona has the advantage, thanks to a few exclusive features. This year, Kia’s minivan introduces a driver attention warning system. This system monitors you for signs of drowsiness and essentially lets you know when it’s time to let your spouse take the wheel. 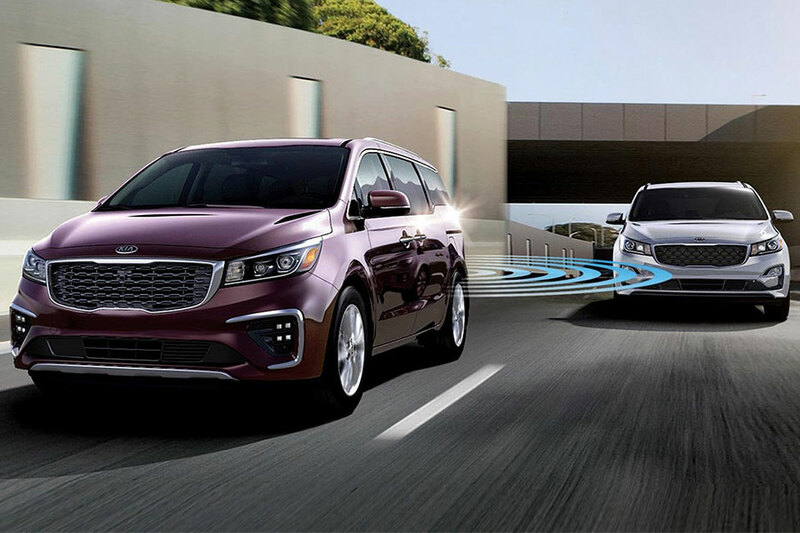 The Sedona’s adaptive cruise control includes a stop-and-go feature that does the heavy lifting in a traffic jam. Still, there’s a lot of safety overlap. 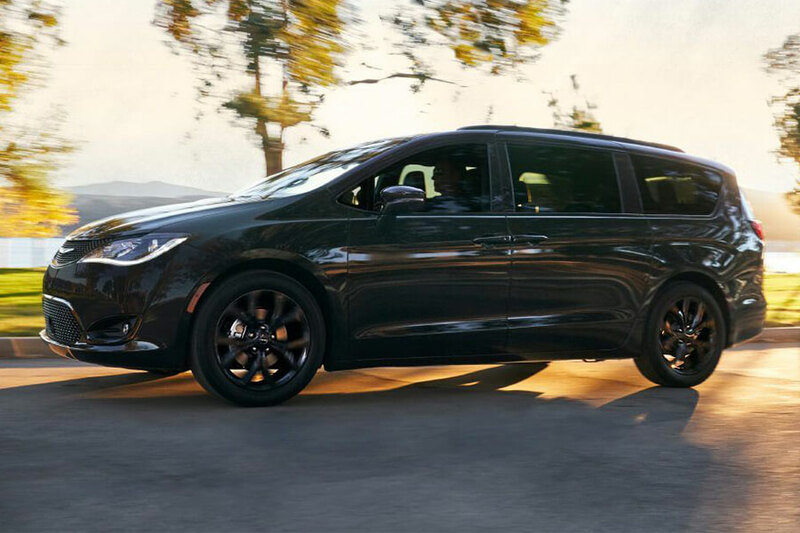 Both the new Sedona and 2019 Chrysler Pacifica and offer crash protection with features like forward collision warning and automatic emergency braking, for example. Blind-spot monitors help you get a handle on your surroundings, so you don’t sideswipe anybody as you’re switching lanes. Kid-Friendly Entertainment: It’s a Tie! We’ve all been there: you’ve got a big road trip ahead of you and keeping kids happily occupied becomes priority number one. The Pacifica can help you in your quest for peace and quiet. Just add the rear entertainment system. The dual 10-inch seatback touchscreens offer HDMI input and a household-style power outlet, which is code for “you can bring all your stuff from home and it will work.” In practice, that means hours of video game playing and movie watching can happen even on the go. The Sedona also offers an exceptional entertainment system. The Sedona’s system includes two 10-inch seat-back touchscreens. If your kids have their own smartphones, they’ll love the system’s smartphone-mirroring technology. The system lets users stream video through the phone’s data plan, so you don’t have to pay for any additional subscriptions. Even for the most frazzled among us, the Pacifica’s convenience features can help keep a busy day in check. Once you experience little things like the power liftgate and power-sliding rear doors, you’ll wonder how you ever did without them. Extras like remote engine start and full keyless entry can help you set record times for loading a cabin full of kids. Back on the Sedona, you can in fact add power sliding doors. Press a button the EX trim and up, and that door slides right open. However, a power liftgate won’t be there to help you out when you’ve got your arms full, which can cause annoying moments of juggling that you’d rather avoid. If you and your family spend a lot of time on the road, it can’t hurt to make the most of your fuel budget. The Pacifica helps you do just that, besting the Sedona with EPA ratings of up to 19 city/28 highway mpg. The Sedona maxes out at 18/24 mpg. If you tend to go on a lot of road trips, the Pacifica will save you a lot of money over time. 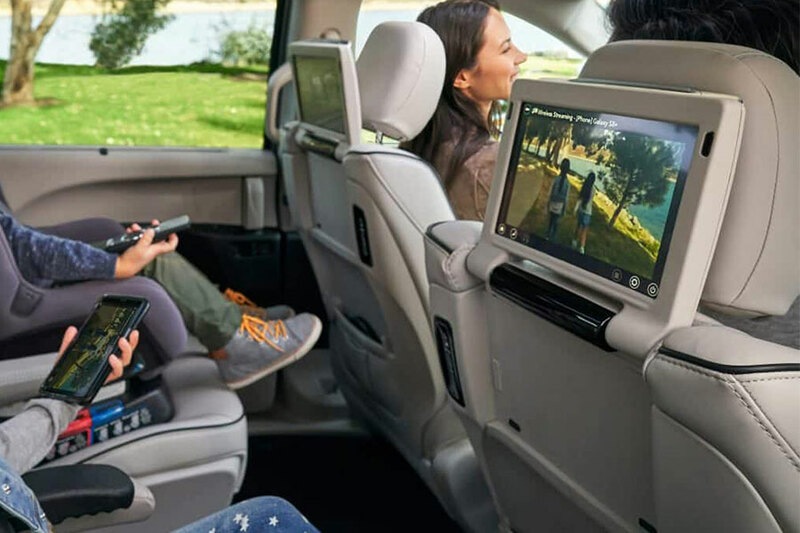 Minivans continue to be the best choice for families – more cargo space than crossovers, lots of high-tech gadgets to keep kids occupied – and the 2019 Chrysler Pacifica stands out as the best choice in a decidedly competitive segment. 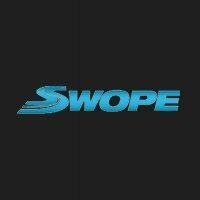 With its fuel-efficient power and timesaving conveniences, you’ll feel like your van is working with you, not against you, making your life easier.